Ariahant All in One Physics CBSE Class 11 | Complete Study with Topicwise NCERT Theory in Easy to understand form | Complete Practice with NCERT’s Exemplar’s and Important Questions | Complete Assessment with topicwise-chatperwise Questions & 10 Sample Question Papers. 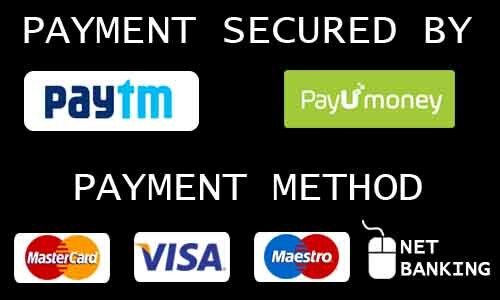 All in One Physics CBSE Class 11 has all the material required for Learning, Understanding, Practice & Assessment, and will surely guide the students to the way of Success. Arihant All in One Physics CBSE Class 11th has been written keeping in mind the needs of students studying in Class 11th CBSE. This book has been made in such a way that students will be fully guided to prepare for the exam in the most effective manner, securing higher grades. 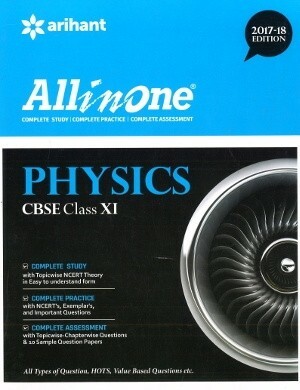 The purpose of this book is to equip any CBSE student with a sound knowledge of Physics at Class 11th Level. It covers the whole syllabus of Class 11th Physics divided into chapters as per the CBSE Curriculum. This book will give you support during the course as well as guide you on Revision and Preparation for the exam itself. The material is presented in a Clear & Concise form and there are questions for you to practice. Each Topic has questions in the format in which they are asked in the examination like Very Short Answer Type Questions (1Mark), Short Answer Type I Questions (2 Marks), Short Answer Type II Questions (3 Marks) and Long Answer Type Questions (5 Marks). These questions cover NCERT Questions, HOTS, Value Based Questions and other Important Questions form examination point of view. To facilitate the easy learning and practice, explanations to all questions along with step marking have been given. For the students to check their understanding of the chapter, Chapter Practice of each chapter has been given. Chapterwise study is not the only feature of this book, after the chapterwise study it has 10 sample question papers.